Episode 1 – Was Michael Jackson an Artist? Abstract: In this first ever episode of Michael Jackson’s Dream Lives On: An Academic Conversation, Karin and Elizabeth discuss Michael Jackson’s 1991 Black or White short film, directed by John Landis, who was also the director of the Thriller short film. The discussion of Jackson’s ‘Panther Dance’, also known as the ‘Coda’, leads into a conversation on whether or not the Black or White short film is art and whether Michael Jackson himself can really be considered an artist. Merx, Karin, and Elizabeth Amisu. 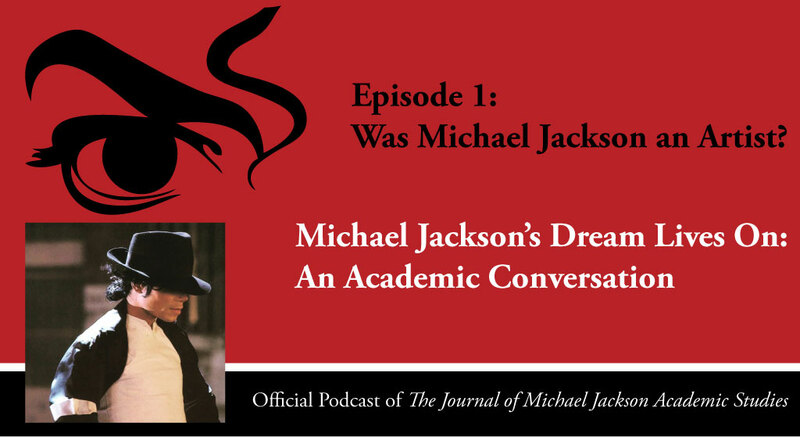 “Episode 1 – Was Michael Jackson an Artist?”, Podcast, Michael Jackson’s Dream Lives On: An Academic Conversation 1, no. 4 (2016). Published electronically 29/06/15. 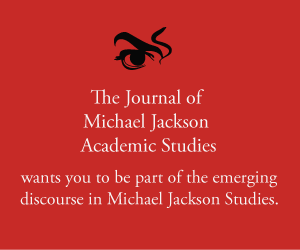 http://michaeljacksonstudies.org/the-dream-lives-on-an-academic-conversation/. 1. ‘The Panther Dance’ in Black or White, dir. John Landis (1991). 2. Joseph Vogel, Man in the Music: The Creative Life and Work of Michael Jackson. Sterling, 2011. 3. Joseph Vogel, ““I Ain’t Scared of No Sheets”: Re-Screening Black Masculinity in Michael Jackson’s Black or White.” Journal of Popular Music Studies 27, no. 1 (2015): 90-123. 4. Singin’ in the Rain, dir. Gene Kelly and Stanley Donen (1952). 5. Do the Right Thing, dir. Spike Lee (1989). 6. Who were the Black Panthers? 7. Susan Fast, Dangerous. London: Bloomsbury, 2014. Chapter 3 – ‘Utopia’, p. 71-96. 8. Karin’s academic review of Susan Fast’s book, Dangerous can be found here. 9. Philosopher, Alain de Botton asks, What is Art for?